As for the Ultramarathon, it is your choice if you want to run the shorter distance (63 km) or join the thoughest players and made it rough (105 km). This decision can be made at the control point in Ożenna. 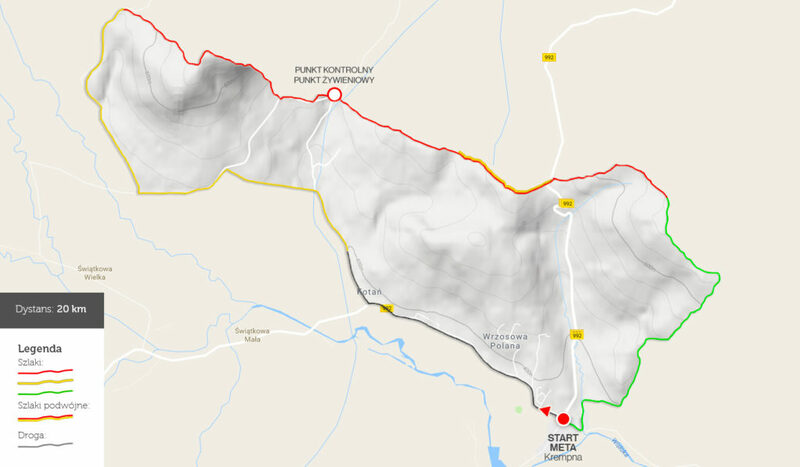 Long route is a typical mountain ultramarathon with significant run-ups and sharp fugitives. You can take a breather on the half way of the trail but challenging the Wisloka river does not guarantee a dry crossing it. The route runs the vast majority of mountain trails. We’ll soon ad gpx tracks for all the distances.